In the webinar, “How Content Marketing is Driving the Future of B2B,” Michael stressed the importance of pushing back on these well-intentioned, yet misinformed and ineffective, directives. 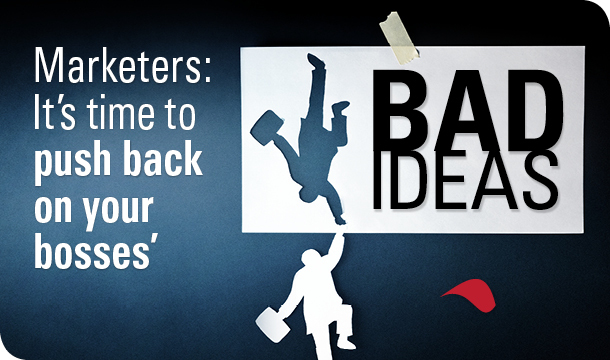 In doing so, he highlighted several marketers who had said no to their bosses’ bad ideas and achieved stellar results. I loved it. I wanted to stand up and cheer. Instead, I’m going to share three examples from the webinar to give you some inspiration and maybe a little chutzpah the next time you disagree with your boss. As marketing manager for CapGemini, the world’s fourth-largest consulting firm (behind Accenture, Deloitte and KPMG), Lyly Lepinay wanted to elevate the firm’s experts. However, the firm’s CEO had a different idea. Looking at his competition — firms ahead of CapGemini in size, revenue and brand awareness — the CEO saw that they all sponsored golfers. From KPMG’s sponsorship of Phil Mickelson to Deloitte’s sponsorship of Christel Boeljon and Accenture’s sponsorship of Tiger Woods and just about everything golf-related, this seemed obvious. But Lyly was skeptical. So, she decided to simply ask CapGemini’s customers. Lyly found that, of CapGemini’s current customers, 10 percent loved golf, and the other 90 percent couldn’t care less. The golf sponsorship, while raising brand awareness, didn’t address clients’ needs. So Lyly pushed back. Instead of spending millions on a golf sponsorship, Lyly convinced her CEO to allow her to use some of the golf sponsorship money (1 percent of the proposed $20 million) instead on educational content. She knew that CapGemini must become the source of education and inspiration for its clients. Lyly’s goal was to increase CapGemini’s web traffic by 1 million visitors. Her results were staggering. After just one year, Lyly not only achieved her web traffic goal, but she also achieved an unexpected $1 million in sales from her efforts. And yet, her CEO still wanted to sponsor a golfer. Lyly convinced him to give her one more year, this time with twice her initial budget and a goal of 2 million visitors. This time, Lyly looked close at how CapGemini’s audience was interacting with the content. As the majority of the posts were authored by internal experts, often readers would find the author on LinkedIn, connect with them there and send them a request for proposal via LinkedIn. So, Lyly invited the audience to connect with the authors via LinkedIn directly through a button on the article pages. The results, once again, were staggering. She blew through her web traffic goal and achieved $24 million in sales. When Amanda Todorovich began her new job as senior director of content at the Cleveland Clinic, she was very excited. As a former patient of the Cleveland Clinic, Amanda believed in the services and expertise it provided. However, the direction Amanda received from her bosses — to talk about how great the health system was — didn’t feel right to her. From the hospital’s #1 ranking in cardiology and heart surgery by U.S. News & World Report to the organization’s mission statement to deliver “world-class care,” Amanda knew that these messages wouldn’t resonate. Instead, Amanda believed strongly in the power of empathy. She knew she needed to convince her leadership to step into their patients’ shoes and deliver marketing that addressed their needs. To convince them, she produced a heart-wrenching video, Empathy: The Human Connection to Patient Care. The video was initially produced in-house for internal audiences, but now a version has been released externally. Take a moment to watch it — it’s very powerful. Amanda’s leadership was moved (how could you not be?) and gave her the greenlight to do the kind of marketing she wanted to do. Amanda created Health Essentials, a website focused on answering patients’ questions and addressing their concerns. With topics such as “Can you really suffer from a broken heart?” and “What the color of your urine says about you,” the Health Essentials site traffic went from zero to 5 million monthly visitors in a short period of time. Just one article on sugar addiction has been shared 65,000 times. In addition, the site delivers revenue to the Cleveland Clinic through subtle advertising on the site, subsidizing the cost. Amanda even convinced her leadership to change the organization’s mission statement. The new one — “To improve people’s lives whether you could become a patient of ours or not” — had empathy at its core. When Jill Kouri was appointed the chief marketing officer for JLL (formerly Jones Lang LaSalle), a commercial real estate firm, she encountered a state of affairs that is, unfortunately, all too common in many companies today. 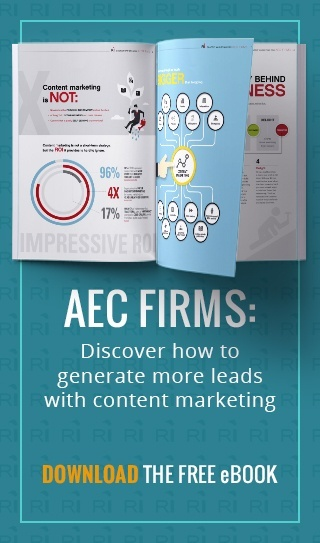 The firm’s ads were being ignored, content wasn’t being used and campaigns weren’t delivering leads. Why this sad state of affairs? Much of the firm’s content focused on its services and did not answer its clients’ questions. Yet, Jill knew that JLL’s buyers were still looking for help navigating their complex commercial real estate transactions. Something needed to change. She decided to transform the company’s marketing function to focus on empathy and storytelling. Jill drew inspiration from a book she had recently read, Creativity Inc., written by a co-founder of Pixar Animation Studios. What Jill realized was that Pixar’s stories focus on the characters’ challenges for the majority of the time — not the solution. The solution (Until finally…) is one tiny step of the journey, which is fraught with questions, fears and challenges along the way. Jill took this lesson and applied it to JLL’s marketing, prioritizing storytelling that focused on her customers’ pain points. As you can see, each of these stories has a theme: empathy. Each time these marketers’ bosses wanted to shout from the rooftops about their businesses, the marketers pushed back and focused on their clients’ needs and delivered marketing that met them. So next time your boss wants to invest in marketing you know won’t work, use your empathy muscles and push back (and let me know if you’d like a little help along the way). Need help pushing back? Contact me at michelle@rep-ink.com or 904-374-5733.